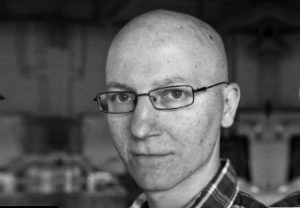 The Continental Philosophy Research Interest Group welcomes Gregor Moder, assistant professor of philosophy and teacher of “What is Enlightenment?” and “Philosophy of Art” at the University of Ljubljana, Slovenia. He is a member of the editorial board of Problemi, the foremost Slovenian journal for philosophy, psychoanalysis and culture, as well as the book series editor at Maska publishing house. Moder is the author of Comic Love: Shakespeare, Hegel, Lacan (2015, in Slovenian) and recently of Hegel and Spinoza: Substance and Negativity (Northwestern UP, 2017). Forthcoming in 2018 is a collection co-edited with Jamila Mascat on The Object of Comedy (Palgrave Macmillan). From the perspective of their contemporary progeny, the historic figures of Hegel and Spinoza may appear on the field of Modern philosophy almost as polar opposites. Contemporary thinkers either make a Hegelian case for the productiveness of concepts of the negative, nothingness, and death, or in a way that is inspired by Spinoza (especially via Deleuze, Althusser and their followers) they abolish the concepts of the subject and negation and argue for pure affirmation and the vitalistic production of differences. For Spinoza, death is nothing but a cessation of the powers of an individual, and “a free man thinks of death least of all things” (Ethics). For Hegel, who explicitly inscribed himself within the legacy of Christian metaphysics, death is never merely a physical phenomenon; it is a matter of the spirit and merits the status and dignity of a concept. The challenge of this session lies in investigating to what extent one may nevertheless see Hegel’s criticism of Spinoza as relevant not only to Hegel’s own philosophy, but just as much to that of Spinoza. Does thinking the substance in a conjunction with subjectivity necessarily mean that we are thinking it in an non-Spinozist, and perhaps even in an explicitly or implicitly Hegelian way? Can there be, despite Deleuze, a Spinozist concept of negativity?